Law reform in Pakistan attracts such disparate champions as the Chief Justice of Pakistan, the USAID and the Taliban. Common to their equally obsessive pursuit of 'speedy justice' is a remarkable obliviousness to the historical, institutional and sociological factors that alienate Pakistanis from their formal legal system. This pioneering book highlights vital and widely neglected linkages between the 'narratives of colonial displacement' resonant in the literature on South Asia's encounter with colonial law and the region's postcolonial official law reform discourses. 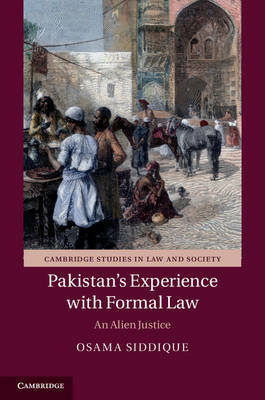 Against this backdrop, it presents a typology of Pakistani approaches to law reform and critically evaluates the IFI-funded single-minded pursuit of 'efficiency' during the last decade. Employing diverse methodologies, it proceeds to provide empirical support for a widening chasm between popular, at times violently expressed, aspirations for justice and democratically deficient reform designed in distant IFI headquarters that is entrusted to the exclusive and unaccountable Pakistani 'reform club'.